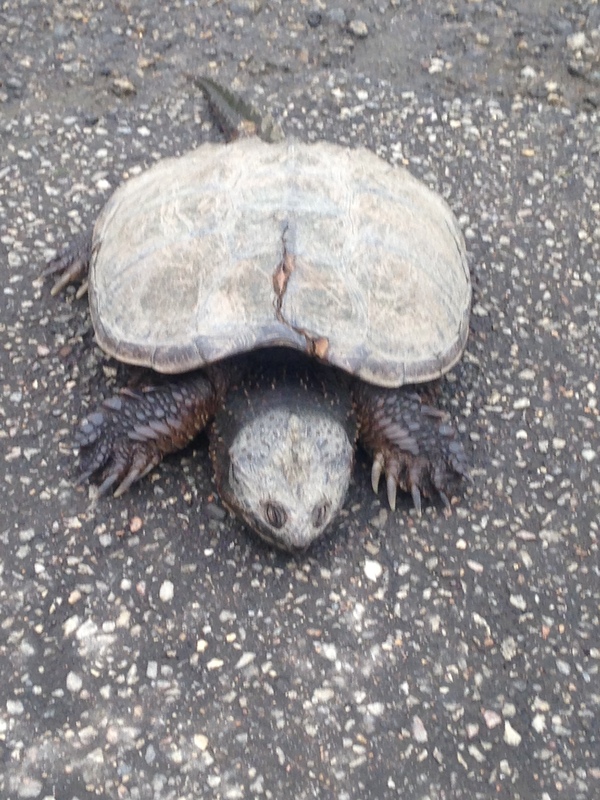 Last year we had no snapping turtles nesting at Stewart Waterfront Park downtown. I just snapped this turtle resting on the boat ramp. So mind those turtle nest signs this year as the conditions may be perfect . It’s quite a show when they begin digging and laying eggs, but give them some room.